so have a couple more photos. Because...seriously, I have NOTHING. This is the pair. 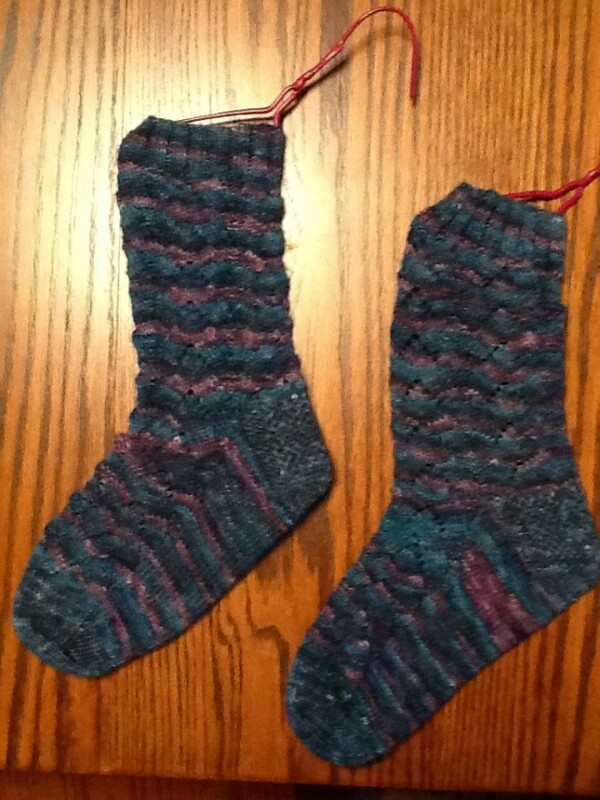 LOVE the color - it's Paca Socks HT in "Deep Seas". WONDERFUL yarn - it knits up nicely and quickly, and feels nice and cushy. Closeup so you can see the pattern. 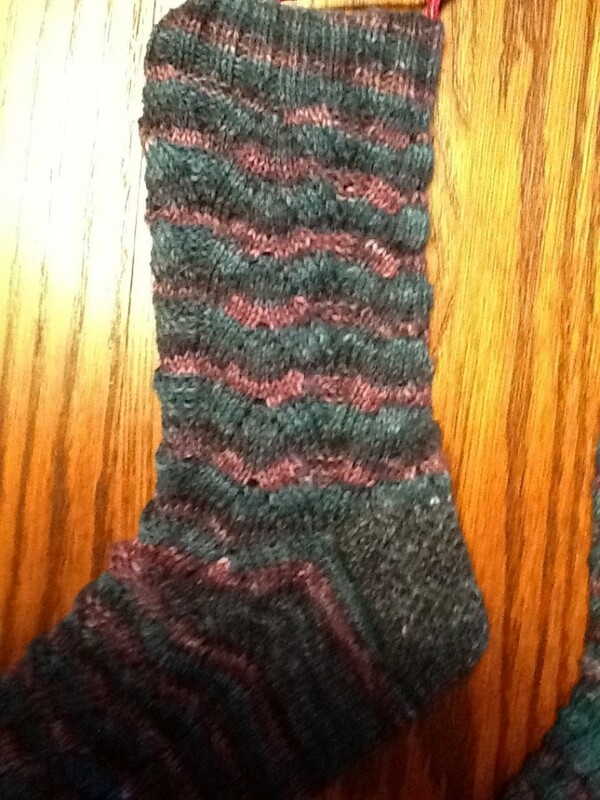 (The top photo is closer to the correct color - the flash washed this one out.) It's "Monkey" by Cookie A., from a 2006 issue of Knitty. It's an easy pattern, and easily memorized. Works up pretty quickly, and the results are...well, I think they're worth it. This entry was originally posted at http://fiberaddict.dreamwidth.org/734797.html. Please comment there using OpenID.